Visit Park Güell with a qualified Tour guide and save. Type of Tour: you can also choose private. Duration: 1 ½ hrs approx. Meeting point: close to the entrance but we will confirm it by e-mail. Your guide takes you around the Park, explains the Park Güell history, details the features brings you up to speed with this unique Barcelona treasure. Is the tour private? It depends on which tour you select. There is a private tour (exclusively for your group), and a shared tour (for you and other groups). Is the shared tour cheaper? Yes, the tour guide will answer all of your questions and other people's questions too. En=English - Fr=French - Sp=Spanish - Ge=German - It=Italian. Me and my family were impressed by the Park Guell and all the stories the guide was telling. Park Güell is a thing of unique beauty and a very popular tourist attraction. 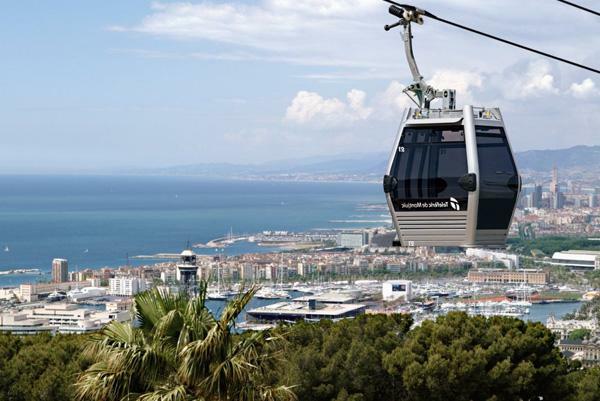 Its charms come from the fact that it is so unlike anything else you may see in Barcelona, indeed, in the rest of the world. The colourful mosaic sculptures are both simplistic in design and yet so detailed in colour. The tiling on the walls, floors, buildings and even on the seats are a thing of intricate beauty. Photographs do not do it justice, which is why so many people pay it a visit. With a guided tour, you may enjoy the inside scoop on its historic significance and architectural secrets. Why Is The Park’s Design So Famous? Park Güell was designed by Antoni Gaudí, which is the reason it was declared a world heritage site by UNESCO in 1984. It was opened officially in 1926, but was built and open for people to see in 1914. It took 14 years to design and build, which is understandable if you consider how much work goes into each sculpture, mosaic and structure. The painstaking detail required must have taken a steady hand and lots of patience in order to complete. You do not have to queue up like everybody else if you take a guided tour. You may skip the queue and start right away with your bilingual tour guide. The tour takes around one and a half hours, where you will hear the story of the park by a professional, qualified and licensed tour guide. Take a walk around the wonderful park, take plenty of photographs, and use the tour as an opportunity to see some stunning views of the city. Your tour guide will take you around the park and tell you its history. He or she will ensure you do not miss anything, and will help you understand why Park Güell is such an important location. Even if you do not use a guided tour, it is highly advisable that you buy your tickets online to avoid the queues and crowds. The lines to get in are very long whenever the weather is good, and the last thing you want to do is stand in a queue for two hours in the blistering heat. Skip the queue and go right in with a guided tour. Despite the fact that the area is light coloured and reflects the heat, the sun can still beat down pretty hard during the peak of summer, so sunblock is recommended. The café is overpriced, but they do not allow outside food. Sneak a little in your bag, and nibble away after the tour is over. Take a bottle of water or a soft drink to avoid dehydration. The museum queue is often long, so beware if you have limited time and you don't want to book with us and use our "skip the line" service. Getting there is tricky if you have not been in the city very long, so you may have to take a taxi or the metro there. You can walk back into town when you leave, or hop on the metro. 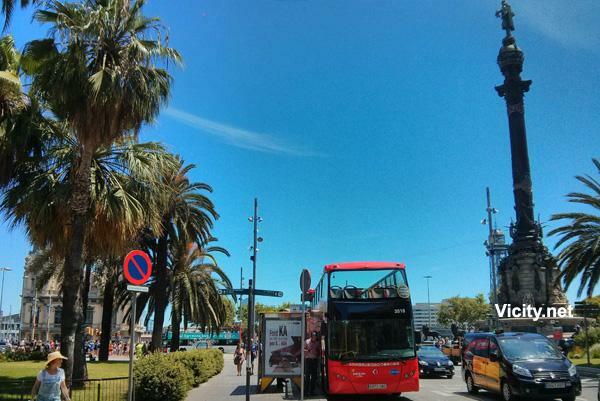 It is located almost half way between two metro stops (the closest is Vallcarca) so expect at least a 20-minute walk no matter which stop you get off at, so you may be better off taking a taxi if you are short on time. You are not picked up or dropped off at your hotel, and there is no food allowed unless it is specified and/or arranged in advance. The guards at the gate are strict about what times they allow people through the gates in an attempt to stop the crowds swamping the place at peak times. If you have mobility problems, then you may struggle with the steep inclines and steps. Finding the entrance to the park is often tricky because there are many trails and paths around the park, and the number of signs is rather limited. After the tour, have a bite to eat and relax. See the views overlooking the city, and explore the monumental zone where you will be captivated by how original and fresh Gaudi’s ideas and designs were. Choose an earlier hour to avoid the crowds, or go a little later and enjoy the weather while you walk. 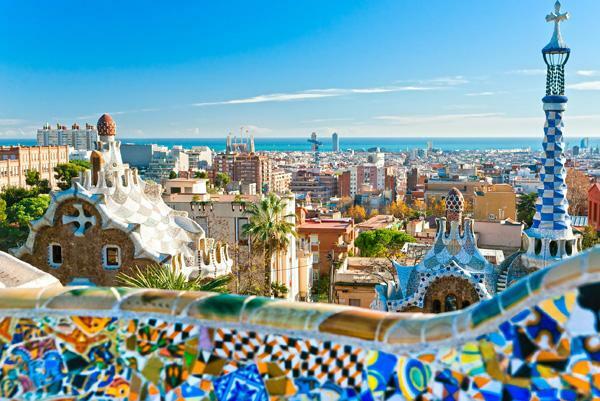 A visit to Barcelona is not the same without a trip to Park Güell. Departure Point: is confirmed by email as you book. Check in time: at least 15 minutes before the tour starts. 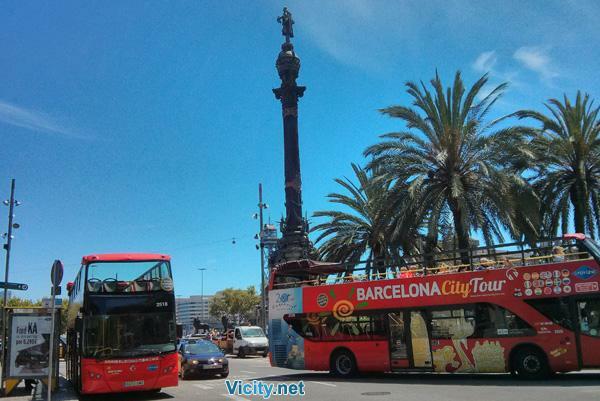 Tour Language: the guide is bilingual with Spanish and English. Further language options are available if you book privately. 1 hour 30 min approx. 72 hours free of charge. Less than 72 hrs or No Show 100%.